Wireless router and wifi network security is serious business. So learn the ropes. Quickly. This is the third and the final part in a three-part series where we teach you how to protect your wifi network along with your wireless router. If you missed the first part of the series then go here to catch up on that and if you also happen to miss the second part then go here. In the first part of the post, we talked about some beginner level techniques that anyone could use without much knowledge about wifi networks or wifi routers while we explained some intermediate techniques,in the second part of the series, to guard your privacy and maintain your integrity while being connected to the internet. So make sure that you read up on the previous two parts before you move on with some of the advanced stuff that will be discussed in this third and final part of a three-part series post. In this third and final post of the three-part series, we’ll begin with some advanced methods that any user can use (provided that you read and completely understood the previous two parts) to protect his/her wifi network and wireless router. As indicated countless times in the previous two parts of this series, you must know how to protect your wifi network and wireless router if you want to secure your data and guard your private information in an online world where there is a cyber criminal hiding in every nook and corner. Simply put, if you want to protect yourself and your data, online, you must first start your efforts by barricading your wifi network and wireless router from outside interference. Only then will you able to surf the internet safely. And let’s not forget the fact that no one is looking and monitoring his/her computer all the time. So then, it becomes even more vital to protect your wifi network and wireless router so that your data remains in safe hands even when you’re not in close proximity to your computer or laptop. Let’s move on to the actual meat, shall we? These techniques will help you a long way in security your wireless router and wifi network from hackers and other types of cyber criminals who can someone infect your machine with ransomware and demands thousands of dollars of your hard earned money in order to unlock your computer. So if you’re a concerned user who values his/her private information and data dearly, then this post is for you. As indicated earlier, you must not start this section without going through the previous two parts of this three-part series post. Because only when you have worked out the basics of your wireless router and wifi network security will you become competent enough to move on to the advanced stuff that we’ll mention in a bit below. Make no mistake, even if you don’t implement some of these advanced techniques to secure your wireless router and wifi network, if you have implemented the methods taught to you in the previous two posts, then you are already more secure in terms of your wifi network and wireless router than the vast majority of your peers and neighbors. And you must already know what that means? That means that if your wifi network and wireless router is more secure than the next guy then the chances of you getting hacked and infected with a malicious software decrease exponentially because cybercriminals are always on the lookout for weaklings who don’t put in enough work in securing their borders and as a result, leave a backdoor open for hackers to come through and infect their computer machines with some nasty looking (and sounding) piece of code. Of course, we want you to improve and go even further and then revel in your newfound abilities. We want you to have a watertight defense against hackers and cyber criminals. And why shouldn’t you? As the adage goes, you can never have enough of a good thing. 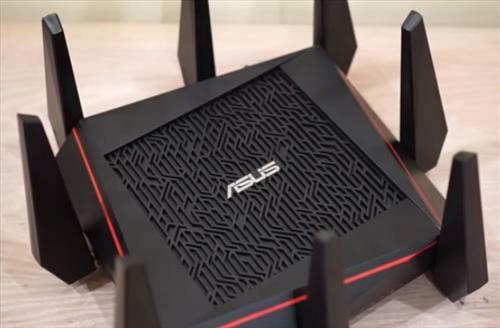 So we’ll assume that you also want to have more of this good thing: the thing we call wifi network and wireless router security for the concerned user. Your wifi network is your gateway to the infinite world of the internet. Sadly, this works both ways. First, Ask Yourself The Question If You Want To Enable Guest Wireless Network Or Not. If You Can’t Answer This Question Right Now, Then Read On. Modern routers are quite a comprehensive piece of hardware and software. 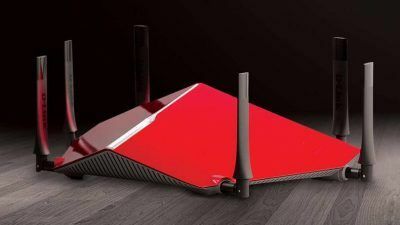 In other words, if you have bought your wireless router anytime in the last couple of years then your modern wireless router is likely to offer 2G and 5G wifi connections. Modern wireless routers also secure these wifi connections with the help of a strong password. Of course, we have already told you to change your default password no matter what happens. Regardless, many of the modern wireless routers today also have the capability to set up supplementary connections for “guests”. If you overlook this simple “guests” option then you are no doubt leaving yourself open to hackers and cyber criminals. And you know what happens when you are neglectful of your duties as far as your wireless router and wifi network are concerned? That’s right. Your computer machine gets hacked down before you can say “where did all my data go.” So pay close attention to what we’re going to teach you next. First of all, you should never leave your “guests” option unprotected. 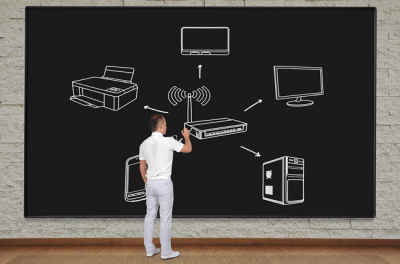 You must configure it as per your requirements but most modern wireless routers come with a lot of options for their “guests” sections, so you’ll need to do a little digging before coming up with the perfect set of settings. Generally speaking through, you should never set up a guest network if you’re not expecting, you guessed it, guests. However, of course, some of us might regularly share our wifi network with some invited guests or you may live in New York where the rent is sky high and the coffee doesn’t come cheap and share an apartment with five other people some of whom don’t even pay the rent. For that scenario, you will have to set up a guest network. And hence, if you must set up a guest network then apply the same rules as you did when you were securing your own wireless router and wifi network. What we mean by that is that you should go for WPA2 encryption (most modern wireless routers allow that option somewhere under the Security Mode heading which can be found in a separate tab that should be present alongside other security options. Look for “Guests Network SSID2”) and a nice, long, complex, difficult-to-remember unique password (we’re not kidding, use a password manager like LastPass if you have to but make sure your password is long, preferably over 12 characters and difficult to guess). And lastly, never configure the guest network in such a way that it has access to your own local network. What you should always do instead is to restrict the guest networks privileges to only internet access. That way you’ll be able to keep your “guests” happy and wifi network along with wireless router safe from danger. Most modern routers come with a host of security measures. You may not know this (or you might know this depending if you have read the previous two parts of this three-part series on how to protect your wireless router and wifi network) but some modern routers also offer a USB port to users so that they can easily share external drives across the whole network. Sadly, we’re living in the real world. To put it another way, if you don’t have a good grasp of some of the fundamentals of wireless router and wifi network security (and hence have little idea of what you are doing) then you’re just setting yourself up for a disastrous event which might even expose your entire machine and everything on it (including the external drive) to the whole of the internet. You already know what’s out there is the deep dark world of the internet right? Yes, cyber criminals and hackers who are ever-ready to pounce on your every bad move. In short, if you aren’t sure about what you should do then don’t plug the external storage device into your wireless router. All jokes aside, you better stay away from the dreaded 192.168.0.1. If you still don’t know what we’re talking about then know that if you have a wireless router in your house or in your office then you have an IP address. More specifically, your wireless router has an IP address. And if you didn’t go through the settings menu and changed the IP address yourself then there is a good chance that your wireless router’s IP address goes something like 192.168.0.254 or (even worse?) 192.168.0.1. No, we don’t have access to your webcam and neither have we hacked into your system. Lucky guess? Nope. All routers, ahem, most modern wireless routers have the tendency to ship with a similar looking IP address. Even if the IP address isn’t an exact match of some other modern wireless router, it is still limited to a small range of IP addresses. Any hacker or cyber criminal worth his (her!) salt would probably know your wireless router’s default IP address and they will hack away at it until they gain access to your wireless router. Well, you need to change your wireless router’s IP address, like right now. Change it something that isn’t common or easy thought of. Be creative but not too creative. You don’t want your IP address to be more difficult to remember than your password. You’ll be doing your wifi network and wireless router’s security a big favor by changing the default IP address since we should always take as many security measures as possible. You never know which small good deed might save your from complete destruction when a hacker finally tries to guess your IP address in order to gain access to your local network. If you have a slightly older browser, it is best to change the SSID name. 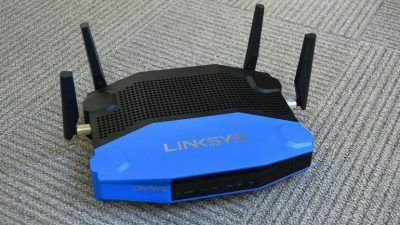 If you have a good enough memory, you might be able to recall that the first time you connected to your wireless router, the device had a specific (rather unique) name. In the old days, hackers relied on guessing those standard-sounding names and then used them to work out your wireless router’s password. You don’t need to worry if you have a modern wireless router through. To put it another way, you are probably safe staying away from the SSID altogether and leave it in its default state. However, if you have an old wireless router, then we’ll recommend that you should go ahead will full confidence and change it for the better. Should You Fiddle With The MAC? No, not talking about the one you would associate with Apple. We’re talking about your MAC address. Every machine has one and while, in theory, MAC address filtering might sound like something safe and possibly even great, the fact is that it is for most practical purposes useless. Yes, you can use MAC address filtering to build a list of devices that can have permission to connect and access a network through your wireless router, but modern hackers and cyber criminals are too smart for these. With that said, if your arts major friend is trying to fiddle with your wireless router then MAC filtering can thwart such cute attempts. Even the most advanced wireless routers have weaknesses. 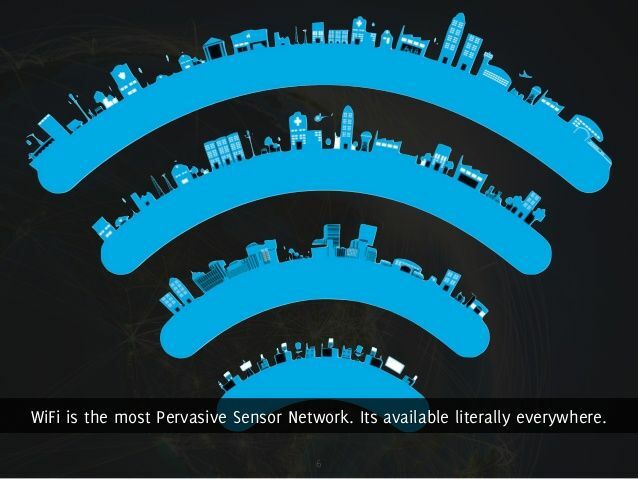 Think beyond your wifi network and wireless router. Time to wrap up and what a journey it has been. We sincerely hope that these series of articles would have given your plenty of methods and techniques to guard your privacy and protect your data by securing your wireless router and wifi network. We’ve also cleared the air regarding the effectiveness of some of the older practices that are still prevalent today. In short, some of those just aren’t worth anyone’s time so stay away from them. With that said, even if you’re the type of diligent user who implements everything he reads the moment he reads anything, your wifi network, and wireless router won’t be a hundred percent safe from hackers and cyber criminals. But as we have mentioned several times in this series, if you’re more secure than the next guy, then you’re good to go because hackers will go for the one who hasn’t done his homework thoroughly enough. Of course, if you are specifically being targeted by a group of hackers and cyber criminals then God help you. Just remember, that your wireless router and wifi network security isn’t the be all and end all of your online security. They are just pieces of a larger puzzle. That larger puzzle consists of other devices such as your computer and printers. If you want to protect your computer then you should be thinking in terms of antivirus software, VPN services, firewalls, password managers and a little bit more. Again, if you missed the first two parts of the series, then go here for the first post and here for the second one. Donald Trump And Copyright Issues? What?